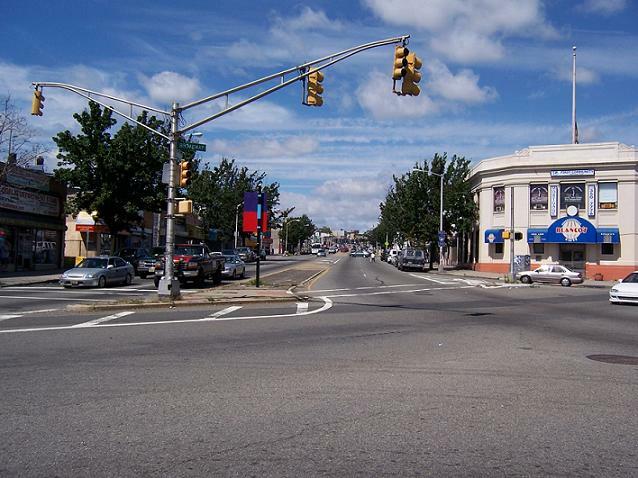 Bloomfield Avenue, the greatest street in New Jersey, begins humbly on Broadway in Newark's North Ward. Every road has a beginning, both in geographic and historic terms. What is now Bloomfield Avenue was laid out by the Newark and Pompton Turnpike Company in the first decade of the 19th century. The leading spirit of the road effort was Israel Crane, after whom Cranetown, later Montclair, was named. 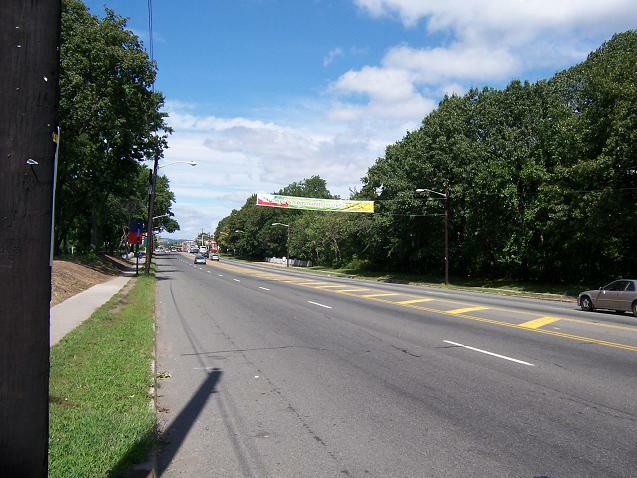 The Newark and Pompton Turnpike officially became Bloomfield Avenue in the 1880s. 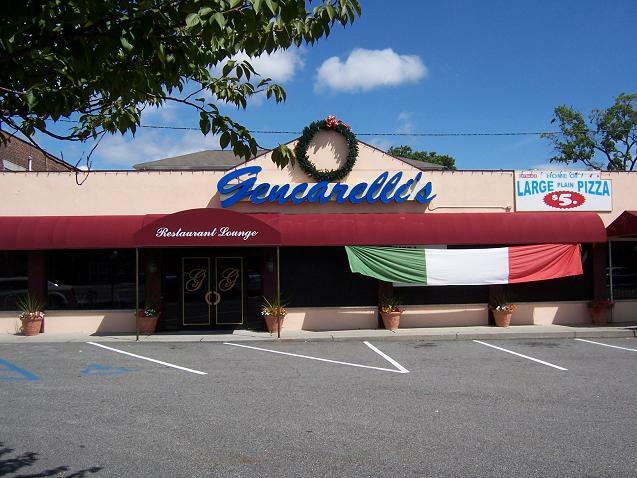 Once the eastern stretch of Bloomfield Avenue was Italian. Bloomfield Avenue was the heart of the fabled "Old First Ward." In the worst tragedy in Newark's urban renewal, the heart of the First Ward, around Eighth Avenue, was ruined to make way for the notorious Christopher Columbus homes. Ecuadorans are a growing Bloomfield Avenue constituency. 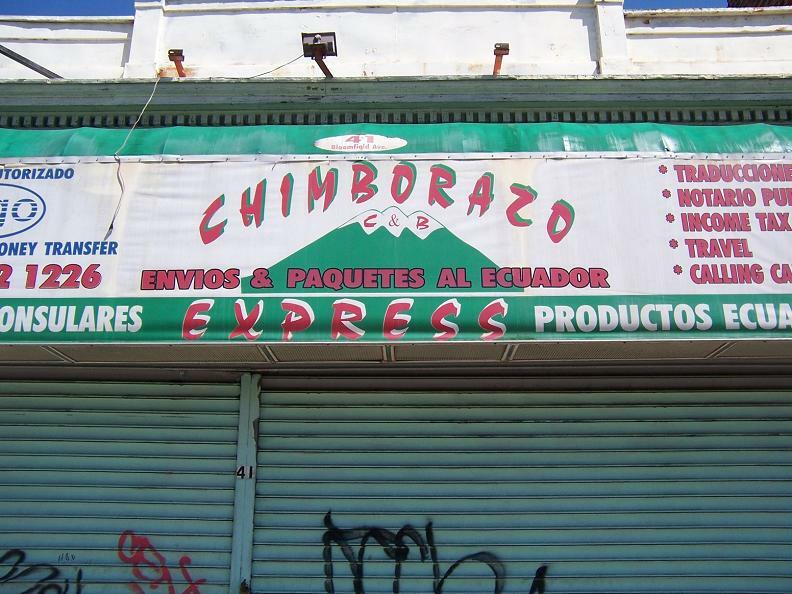 This store lets customers know what niche it has by naming itself after Chimbarazo, one of Ecuador's highest mountains. Mt. Chimbarazo's claim to fame is that its summit is farther from the Earth's center than any other point on the Earth's surface. Although Chimbarazo is not as tall as Everest, Chimbarazo is farther from the Earth's center due to the planet's equitorial bulge. 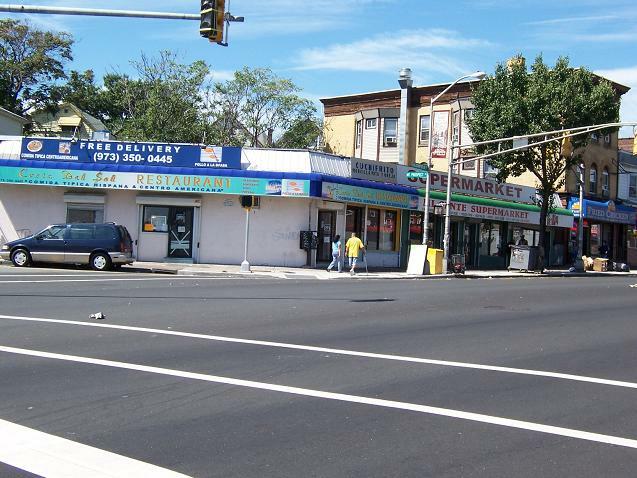 Bloomfield Avenue goes through some relatively dense sections of Bloomfield, Montclair, Verona, and Caldwell, but here in Newark the environment is low-rise. Newark isn't a great city for bookstores, but there are a few special niche bookstores in the city. 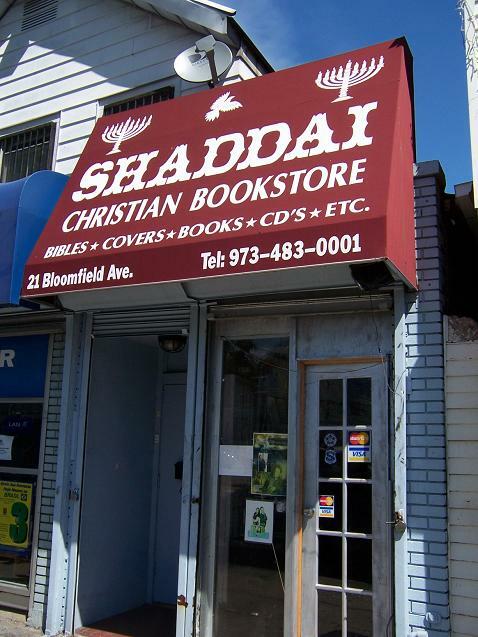 Here is a Christian bookstore, apparently with a Judaizing theme. According to Google, there is a socialist workers' bookstore on Bloomfield Avenue here, however I was not able to locate it. The halfway point of Newark's Bloomfield Avenue is Branch Brook Park. Often there is a JJ's hotdog truck parked here. No North Ward experience is complete without trying something from one of these mobile restaurants. West of Branch Brook Park Bloomfield Avenue goes through the most intact Italian neighborhood left in Newark. 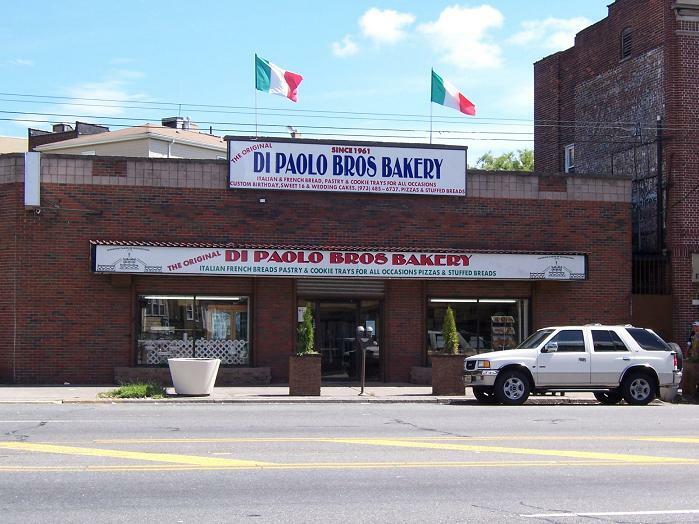 One landmark of Bloomfield Avenue is DePaolo's Bakery. Every time I have visited DePaolo's the place has been packed. Nearby are Calandra's and, formerly, Giordano's. Giordano's was famouse for being Frank Sinatra's favorite. Until the week he died Sinatra ordered bread from Giordano's. Sadly, Giordano's closed in 2004. This used to be the New Vesuvius restaurant, named after the original Vesuvius restaurant. I've eaten here, and for those who want to patronize Newark, but who don't like Portuguese food (I'm in this category), try one of Bloomfield Avenue's Italian places. You won't be disappointed. The heart of what is left of Italian Newark is around St. Francis Xavier Church. 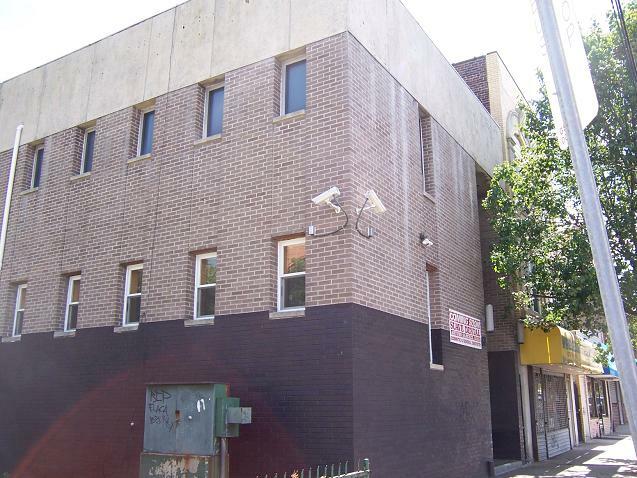 This plain building used to be the home of the Italian Tribune, a national newspaper for Italian-Americans. Founded in 1931, the Italian Tribune brought fame to Newark's relatively small, but important, Italian community. Sadly, the Italian Tribune left Newark recently for Montclair, New Jersey. I know that Newark is no longer the center of New Jersey's Italian community, but couldn't the Italian Trib at least move to a suburb with a large Italian population? Like Cedar Grove, Roseland, or Verona? 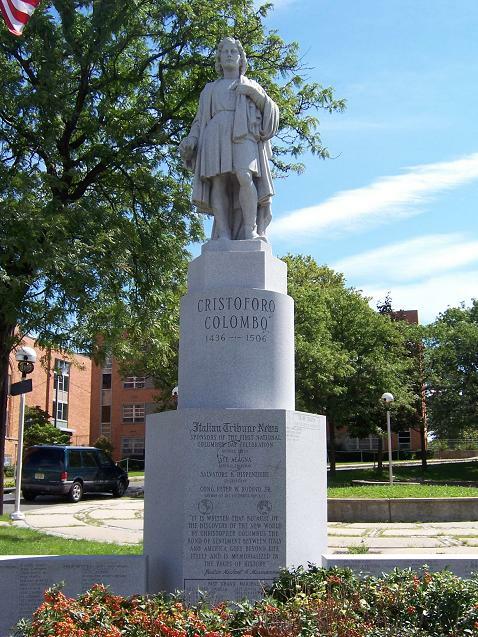 In front of St. Francis Xavier Church is Newark's other Christopher Columbus Statue. St. Francis Xavier itself. This church was began in 1950, the interior was paid for by a penny donation campaign. The architectural firm was Fanning and Shaw of Paterson, NJ. 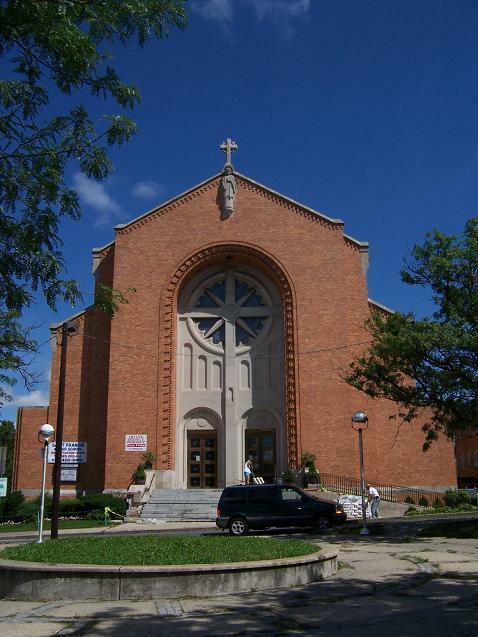 St. Francis Xavier parish was founded in 1914. Its original 1914 building burned down in 1922 and an interim structure served the congregation until this present orange-brick building was constructed. 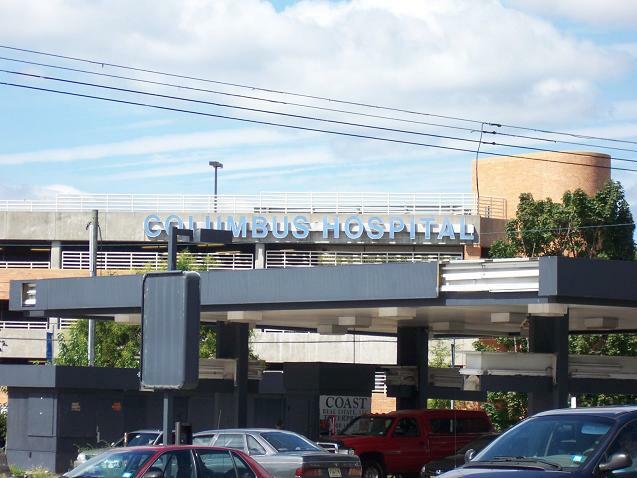 Columbus Hospital was founded in 1934 by the Italian community. It is today part of the Cathedral Health System. Dana Matos McGreevey works in the fundraising department here. 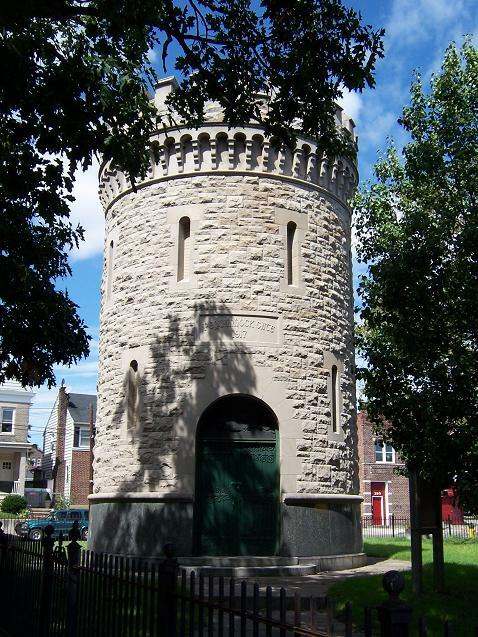 This peculiar tower, immediately in front of Calandra's Bakery, is alternately known as the Pequannock Gate and the Haynes Memorial. Few know that its function is to regulate water pressure in the Newark city mains. For more information about this structure, see my feature on Mayor Joseph Haynes and the Pequannock Gate. A sign of the ethnic times. 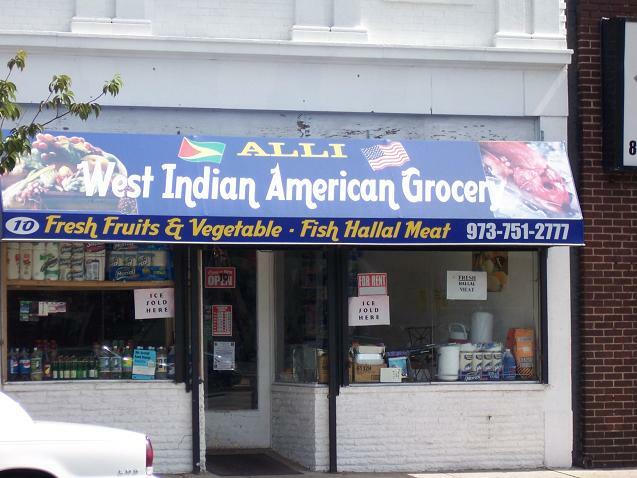 A West Indian halal restaurant. 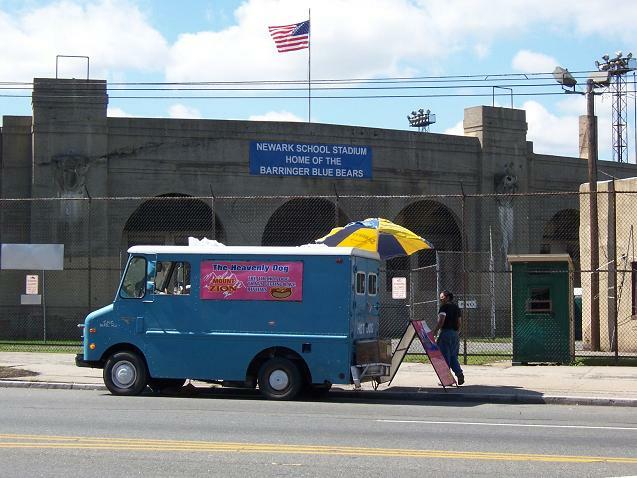 A classic Newark hot dog stand in front of the venerable Newark Schools Stadium. If you enjoy this site, please consider making a contribution. A little bit goes a long way. Feature dedications are available. Thanks to all those who have given.